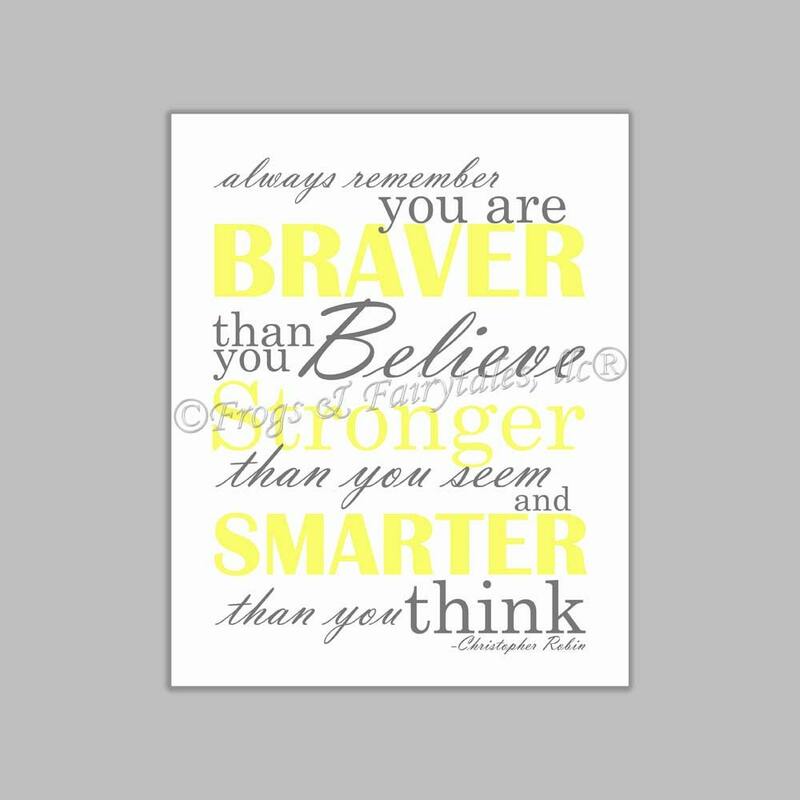 "Always remember you are braver than you believe, stronger than you seem, and smarter than you think"-Christopher Robin. 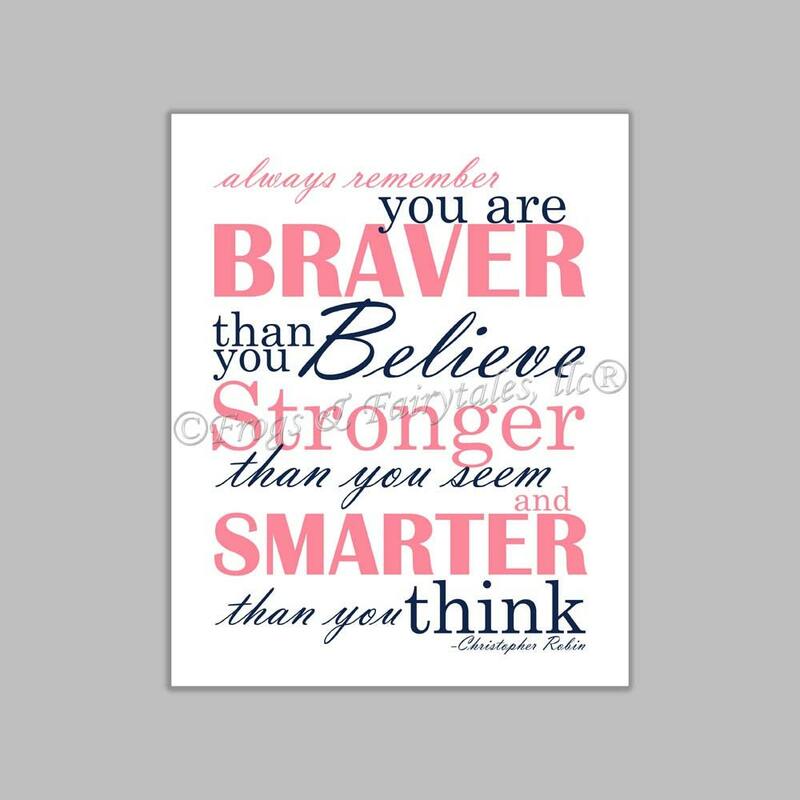 What a great quote to have hanging in your little one's room! Pictured are a few great color schemes for a girl's room, but you may also choose custom colors from the drop down menu to have them printed in a color scheme not shown. If you select custom colors from the drop down menu, please leave you color choices in the note to seller section of your invoice. You can also message me a picture of the color scheme you'd like me to use. If you select custom colors, we will message you with a proof to approve and/or make changes to before we print them. 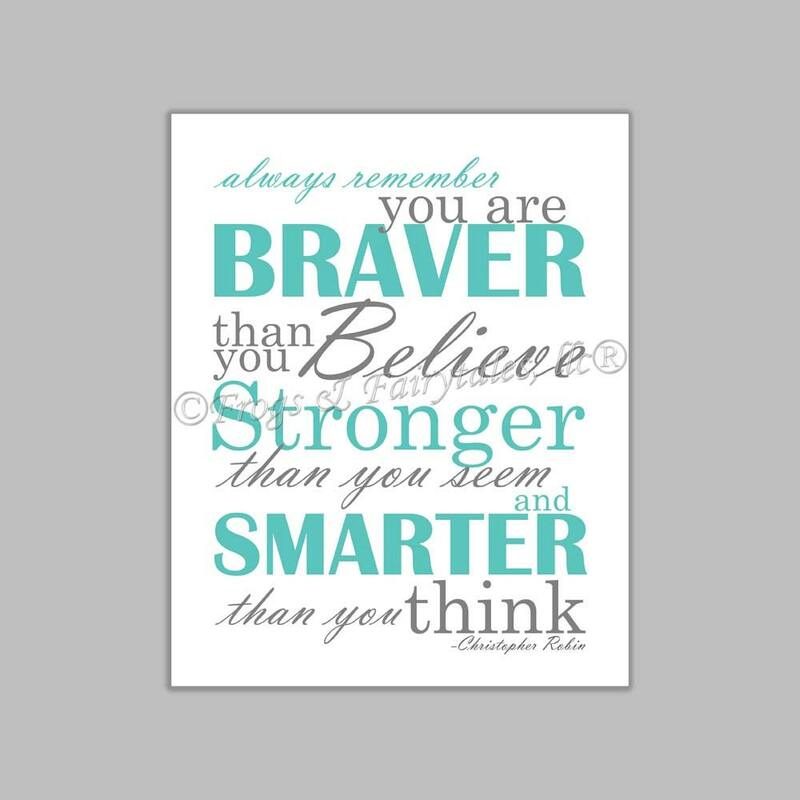 Watermark will not appear on your print.